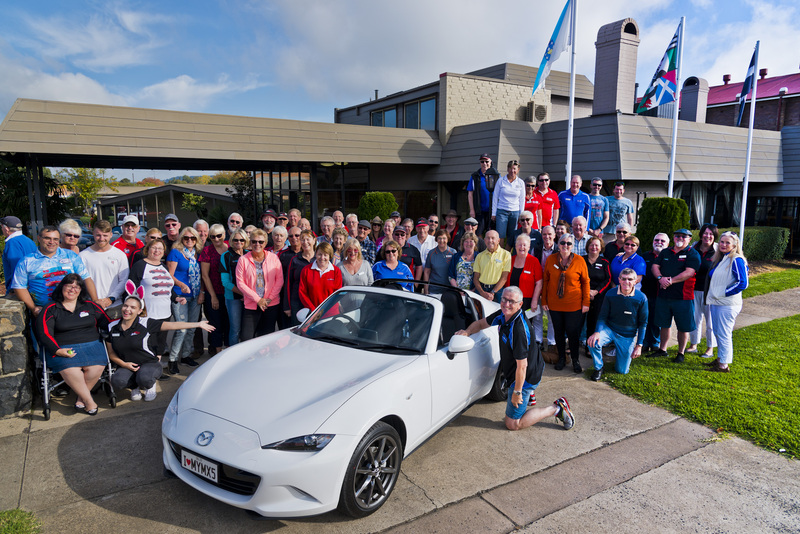 The MX-5 Clubs of NSW and Queensland join to spend the long weekend cruising some of the great roads of the New England. There are lots of man-made and natural attractions in the region to ensure you have a great time. The run will officially kick off from McDonald's Thornton (Thornton Rd) at 8:30am on Good Friday. Our accommodation in Glen Innes is at the New England Motor Lodge. The owners are eager to look after us in the excellent fashion which we have become accustomed to. There is a choice of different grade rooms plus meals options - dinner each night (Friday, Saturday and Sunday) and a breakfast each morning (Saturday, Sunday and Monday). Our trip to Glen Innes will take us via Gloucester (morning tea, BYO recommended), Walcha (lunch, BYO or limited outlets) and Armidale (441km). Friday evening we have a group dinner in the restaurant to catch up with our Queensland comrades. Saturday we cruise to Ebor for a BYO morning tea at the falls. We then head down the Corkscrew through Nymboida to the river city of Grafton for lunch at the Crown Hotel overlooking the Clarence River. The return route is up the Gwydir Highway with an optional short stop at Raspberry Lookout. BYO afternoon tea if you wish. (425km round trip). Saturday evening we wine and dine in the restaurant with some activities for your amusement. Sunday will feature a pleasant drive to Inverell where we will stop at the Visitors Information Centre. The centre features a collection of local gemstones and historic photographs. Café available or BYO in the grounds. We then continue to Copeton Dam and down to Bingara for lunch. After lunch there is a tour of the historic Roxy Theatre and Café. We return to Glen Innes via Delungra and Inverell (303km). Sunday evening we return to the restaurant for dinner and the Inter State Turtle Racing Challenge. On Monday we return to the Hunter Region via the New England Highway. Alternatively you are welcome to make your own arrangements. 3. We will confirm your registration. Mention you are with the MX5 Club reservation. Dinner Package: To be advised. There was no NatMeet in 1998 as it was going to be in WA but then cancelled. The next NatMeet was 1999 in Queensland, followed by 2000 in Victoria. Hence NotMeet was not held between 1997 and 2001.